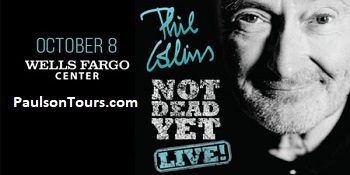 Join us to see Phill Collins on his NOT DEAD YET Tour in Philadelphia. "Ride ONLY" also available! ~ If you have tickets? You can get tickets only by clicking below.